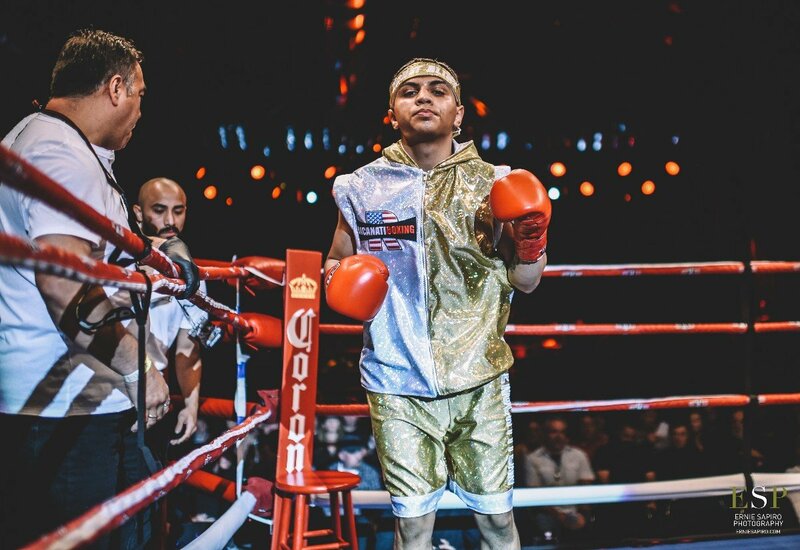 Cris Reyes went undefeated in the professional ranks as an 18 year old, winning all three of his bouts in impressive fashion. He believes year No. 19 will be even better. Reyes, a native of Renton, Wash., will look to remain undefeated on Sept. 8 when he faces Keith Wolf on the undercard of Battle at the Boat 117 at the Emerald Queen Casino in Tacoma, Wash.
Reyes, however, won’t be the only athlete from the Tenochtitlan Boxing Gym to fight on the card, as teammate Jorge Linares (4-1-0) will face Shae Green (1-0-1) in a 147-pound 5-round bout. It’s been a whirlwind 10 months for Reyes, a 2017 Renton High School graduate, since he turned pro on Oct. 28. He won his first fight by decision. Since then the junior welterweight has showed considerable power, winning his last two fights by early KOs. Reyes made his Battle at the Boat debut on March 17, scoring a victory by first-round knockout (2:08) over Nicholas Credit. He followed up that triumph by knocking out Bryce Gonzales in the second round (1:21) on June 9th, just 10 days before he turned 19. As an amateur, Reyes was a 2015 National PAL champion, a 2015 Junior National Golden Gloves runner-up and a two-time Ringside World Championship runner-up, while rising as high as No. 3 in the amateur rankings in the United States. Linares has also been on a tear during the early stages of his career and enters Battle at the Boat 117 on a two-fight winning streak. Linares needed just 32 seconds to put away Nichoulas Briannes by knockout on March 3. He defeated veteran Antonio Neal by unanimous decision (50-45, 49-46, 50-45) in his last bout on June 9. Battle at the Boat 117 will feature the VIP experience with 3rdRow Seats being discounted to $75 per ticket. All fans seated in in the VIP section (rows 1-3) will have an exclusive access point and a dedicated server to help create a true VIP experience.